My husband has been trying to lose weight through different diet foods, exercise plans and combined weight loss plans for years. Each new year he has a resolution to take inches of his waist, eat healthier and just be a more fit person. At each year’s end however he looks about the same (sorry babe). It is definitely tough, even with gym memberships, apps and tracking gadgets he like many people haven’t found something that sticks. He does like sports, though he seems to do a lot more watching than playing as the years go by! Weight loss is more about diet than exercise, and keeping a keen eye on what my husband eats this year is most important. His main motivation is not to look better (as much as I joke about it), but rather to just have a healthier heart rate and overall vital signs. He has a biometric screening each year and the last couple have left room for big improvements. On that note exercising and specifically cardio activity a few times a week are also musts on his 2016 list. My husband is forever faithful towards me but when it comes to exercise and especially diet he is a full blown cheater. He will go to the gym and just coast on the lightest setting of a bike, hardly pushing at all. With food it’s even worse, for some reason he thinks if he consumes candy bars and nobody else is present that it didn’t really happen. Well, here’s to a new year and new beginnings! The new Nutrisystem Turbo10 Program is a four-week program that has breakfast, lunch, dinner and even snacks sent to our door. Meal delivery diets are the best as they cut out ways to cheat with most meals already set up for you. The program includes Turboshakes™ (which taste amazing by the way) that are loaded with protein and healthy nutrients. I like how they have probiotics, something that we’ve both been consuming primarily through supplements and kefir, very happy it’s in the Turboshakes™. The NutriCrush® shakes are part of the program too which help reduce hunger. I haven’t tried these yet but I’m guessing they’re just as tasty. I like that we can customize our meal plan to our liking by choosing from a huge selection. I also like how this program makes sense and steers clear of gimmicks, fad diets, and calorie counting (which I know my husband won’t do on his own, so this is perfect). Meal delivery weight loss plans are a great way to force yourself to stay on-track and as mentioned reduce “cheat foods”. By week two or three it’s sometimes difficult to stay motivated with any program (in any part of life), and programs like these that reduce the planning and preparation you’d normally have to do yourself often have the best results. The Turbo10 program for example can help you lose up to 10 pounds and 5 inches in your first month. If eating right or losing weight is on your list of 2016 resolutions I strongly suggest you take a look at a meal delivery weight loss system in just like us. The Turbo10 Program from Nutrisystem looks like a great pick. This is a sponsored post for Nutrisystem. Great Home Workout Routine without Weights – Steps to a New You! I am sorry but these plans and pre-prepared meals are just not for me. I prefer to manage my weight natural and with home-cooked meals. What great ideas hope it goes well for you. I have done Nutrisystem a few times over the years and have always lost weight on the program. I wish you the best of luck! This really is a great meal plan. I need to lose about 7 lbs and I need to get serious about it because the extra pounds are sitting on my back pain area. I hope your plan will help me. I love eating healthy but I haven’t tried making a meal plan. I think making a meal plan won’t be hard to adjust to, I just have to learn how to do it. Thank for the tips! This can definitely help. I have heard a lot of great things about Nutrisystem. I will check this out. Good luck – I think having meals coming right to your door will definitely help your husband. 2016 is the year for health for me. I will have to check out Nutrisystem. This is interesting, I have my diet plan but I think I can add this to my diet. Sounds interesting. First time to hear something from this kind of program. Will check them out for more info. wish you all the best about this diet plan sounds very intersting. What a perfect meal for me. I need to lose weight so fast next month was start for my new work. The thought of having a meal all prepped and ready to go is amazing. And to have it fit into my dietary needs including calorie needs would be great. I will have to check out if they offer vegetarian and gluten-free options. This might be great for me. I’ve heard so much about Nutrisystem. Good luck to you. I have heard great things about Nutrisystem! I love that they are finding new ways to keep up with the needs of their customers and to help them loose weight! Good luck with your weight loss this year!! 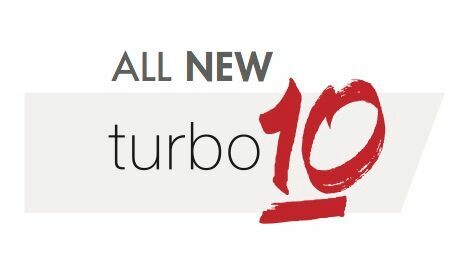 So I have been hearing about this Turbo10 and am very curious already since I have never really tried the Nutrisystem. So thank you for your very informative post. Now I have to research on it some more to see if this is the kind of weight loss program for me. Thanks for sharing! Been seeing a lot of diet plans for the new year 🙂 in fact I also published one recently. I guess diet plans that comes with meal deliveries is the best diet plan of all. Good luck on Nutrisystem!!!! I swear they are one of the better companies for weight loss… Love the probiotic shakes they have! I love Nutrisystem because they taught me how to eat. The cool thing about Nutrisystem is that you don’t even have to eat there food to follow their plan. If you want to make all of your meals and not order from them you can do their flex meal days everyday. I think when you are starting out though and you are learning how to eat it is best to just order their food at least for a couple months and then cook on your own. Even when you do get their food in the mail they still teach you how to eat your own food on your 2 days off a week. I have heard that many people have had success in losing weight with this program. The food looks delicious. I am sure anyone with determination and a good program such as this will reach their weight loss goals. I am all for healthy living and diet meal deliveries. They are so convenient. I have my meals delivered and I like how they’re healthy + I don’t have to worry about what to eat. I have not tried Nutrisystem though but I will definitely check it out. I tried Nutrisystem years ago with good success! These meals look wonderful! You are going to rock this! Looks great! I haven’t heard of Nutrisystem but it sounds promising. Aside from losing weight, above all I want to be healthy so it helps to have goals right from the start of the year!